Gamers are a fickle lot and I include myself in that statement. I’ve longed for a good old-fashioned, turn-based RPG, to take me back to my youth and yet when one comes along I moan about how it’s not “different” enough. 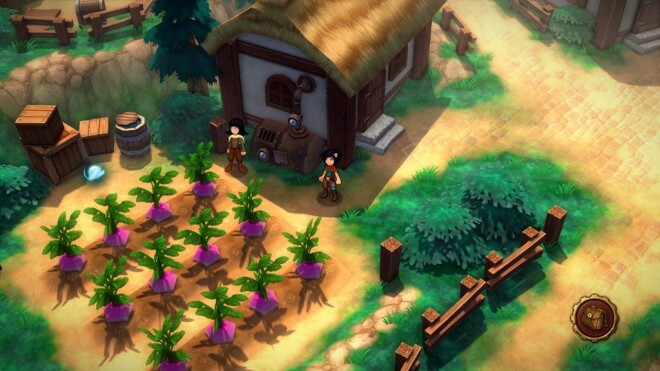 Bad news then for Kyy Games, the developers behind Trulon: The Shadow Engine. They’ve made just what was asked for, and yet it’s not really what we need or what we actually want. 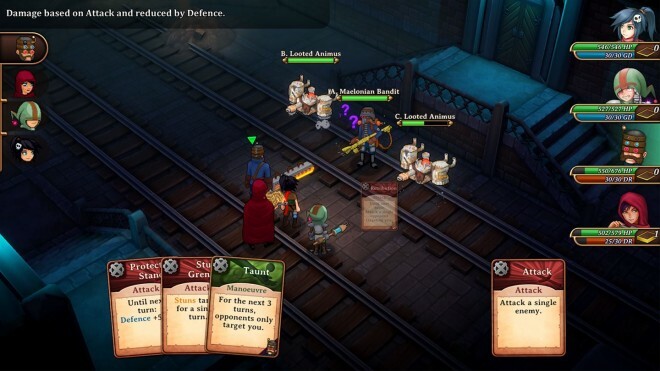 Card Battles – The battle system plays out as you’d expect from a turned based RPG. Except rather than selecting from your characters set skills loadout, you choose from a series of randomized cards. These cards are collected throughout the world as loot from chests or winning fights and are dealt to the player at the start of each battle. You are usually given 3 to 4 of your cards plus two wildcards. Wildcards are often cards that you don’t own and can be used many times throughout each fight. The cards from your pool, on the other hand, are discarded after use and replaced with another from your deck. Some cards are more powerful or specialized and require your character to use Gaudium or Dolorium – the game’s version of mana. Despite your hand being largely based on luck, there is still a decent amount of strategy involved in picking what cards to play and a seemingly lost battle can be turned around if you play your cards right – so to speak. Easy on the eyes – For the most part, Trulon: The Shadow Engine is visually pleasing. 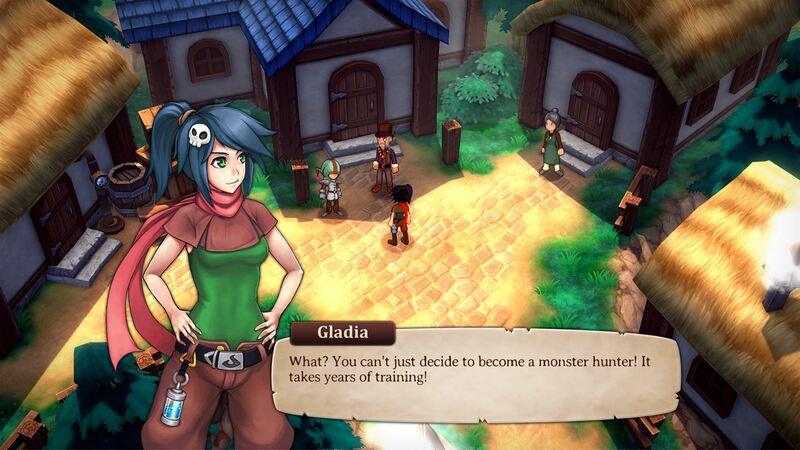 The graphics have a bright hand drawn anime feel, with attractive sprites and lush backgrounds. During fights, cards are thrown at enemies, and fun comic book style clip plays out to show the character action. The music is pleasant and catchy and just what you’d expect from a JRPG, though it does become a little repetitive the longer you play. The quality drops however in the game menus which were clearly designed for a touch screen rather than an Xbox controller. While characters can’t be visually personalized, there are various items you can equip which can change stats and provide boosts or battle bonuses. Needs a little polish – As much as I enjoyed the graphics, there are some areas which do need improving. In particular, when you are outside of towns, the art style takes a step backward, and your characters are reduced to naff looking pixels and as previously mentioned the game menus could do with some work. This is probably a throwback from its mobile phone version, but I’d expect a console release to show some improvement. The characters also walk stupidly slow which causes, even more, frustration if I found I was going the wrong way, which actually happened frequently since there is no in-game mini map or HUD either. Loading times are also a problem, appearing too often for a game which doesn’t exactly challenge your Xbox to run. I also experienced a few bugs including some serious ones which caused the game to crash, however, these do appear to have been fixed in a patch released during my time with the game. Cookie cutter – The game’s story is standard RPG affair: something bad is happening, but the king/queen/government doesn’t believe you, so it’s up to you to save the world. Plot twist: the king/queen/government may or may not be involved somehow. Additionally, the characters don’t seem to have much to distinguish themselves either other than their bog standard roles, attack, magic, tank, and someone that can cast status effects. In fact, I can barely remember their names. To be fair there’s nothing majorly wrong with the game, but it’s so generic, and by the book that it’s instantly forgettable the moment it’s switched off, which is all the more surprising since the game had been adapted from a novel. I haven’t personally read the Trulon series but if The Shadow Engine is anything to go by that’s probably a good thing. Too much padding – The randomness of the hand you’re dealt at the start of each battle, keeps you on your toes. 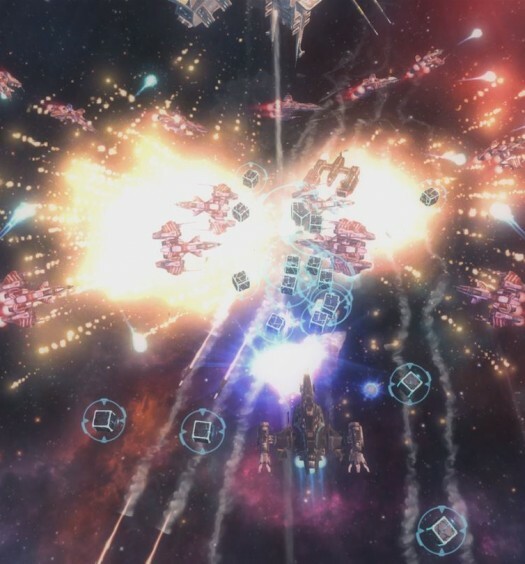 However, as the game progresses, new cards are unlocked with an emphasis on causing status effects rather than flat out damage. Couple that with the increasing health of enemies, battles can end up dragging out to 5-10 mins each, often with the goal of keeping as many people stunned or frozen possible as your only damage dealer slowly chips away. It’s a solid tactic, but it’s about as entertaining as watching paint dry. 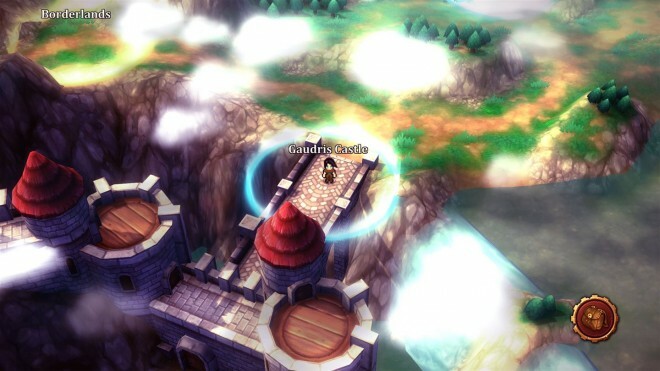 These battles can take even longer when your mana is low since you can’t afford to use more powerful attacks; Gaudium and Dolorium seemingly a scarce yet necessary commodity. It’s an odd design choice that seems to offer nothing more than extending your play time and only adds increasingly boring and long drawn out battles. Trulon: The Shadow Engine is an okay game and therein lies the problem. There are no major problems, but neither is there anything to distinguish it from any other RPG, so much so that it may as well be called “RPG Game”. The card battle system starts promisingly; however, the interesting premise is not expanded upon in any meaningful way. With its increasingly tedious battles, the whole thing seems to lose steam towards the halfway mark leaving little desire to play the game to completion other than for achievements. Trulon: The Shadow Engine was developed by Kyy Games and published by Headup Games on Xbox One. It released on February 24, 2017, for $19.99. A copy was provided for review purposes.